The people and brands of Ingersoll Rand — including Club Car, Ingersoll Rand, Thermo King, and Trane — work together to enhance the quality and comfort of air in homes and buildings. Ingersoll Rand is a $12 billion global business with a long history of hiring veterans. The company currently employs more than 2,500 of them in virtually every type of role across its business units. They include former officers and enlisted personnel, veterans with disabilities, and reservists. In addition, Ingersoll Rand employs a large number of military spouses and other members of military families. The company has been in business for 143 years. The future for manufacturing careers is bright, and Ingersoll Rand is hiring. The company’s greatest needs are in engineering, finance, procurement, and HVAC tech service. The company’s talent needs fit well with many military occupations, including HVAC tech, operations, logistics and supply chain, engineering, and technical sales. Ingersoll Rand has opportunities throughout the United States, so veterans can choose whether they want to return to their home of record, stay near a recent military duty station, or explore living somewhere new. In 2011, Ingersoll Rand established a centralized talent acquisition (recruiting) organization. This group conducts an internal training program called Boot Camp with human resources and recruiting colleagues. 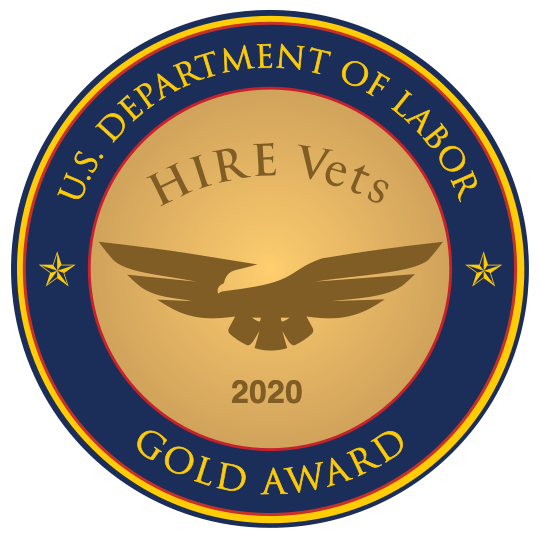 The program provides information on how and where to recruit veterans, how to interpret a military resume, how the military branches are structured, how military culture works, and more. The program has enabled the recruiters to work more proactively to find military talent and to articulate better to the hiring department a veteran candidate’s fit for a particular role. Jeremy Degnan, a veteran of the United States Army, began his corporate career as a project manager in Ingersoll Rand’s global program management organization, supporting multiple business streams on strategic initiatives and projects. After spending a year and a half with this group, he became aware of an opportunity in the company’s talent acquisition department. The opportunity involved the support of technician hiring in the newly established Sales and Service Center of Excellence. Warren W. Michelsen, a veteran of the United States Air Force, is general manager of Trane’s Northwest-Hawaii District. He graduated from Virginia Military Institute with a bachelor of science degree in mechanical engineering in 1987. He was commissioned in the Air Force, and served for four years as an aircraft maintenance officer with the 92th Bombardment Wing in Spokane. After attaining the rank of captain, he joined Trane in 1992 and attended its Graduate Training Program. “Following graduation from Trane’s Early Talent Technical Sales Program, I took the role of marketing engineer in Trane’s Lexington, Kentucky, facility,” he said. “I was soon promoted to the west territory regional sales engineer responsible for the sales of commercial air handlers. In 1995, I moved to Trane’s Pueblo, Colorado, location as a marketing engineer responsible for supporting sales of rotary-screw chillers. And a year later, I was promoted to national operations manager responsible for the Trane Rental Services business – and, later, product manager. Michelsen is responsible for leading 175 associates while managing a $110 million-plus enterprise comprised of equipment sales and service as well as controls and energy contracting businesses. The district has offices in Anchorage; Honolulu; and Bellevue, Washington. Michelsen also supports five parts outlets in the three cities. He said that his leadership roles really made a difference. “In all of my roles in the military, I was always a people leader responsible for leading and managing different maintenance teams with various missions,” he said. “I worked with all ranks from airman to colonel on a daily basis, and became very comfortable communicating with people at every level. Jordan Nowlin, a veteran of the United States Marine Corps, is an HVAC field technician apprentice with Trane in Nashville. He shadows and learns from the other technicians to build his knowledge of the service work. Nowlin joined the Marine Corps in May 2009. He served as an aircraft mechanic for three years, and was a mobile maintenance facility technician for two years. He was honorably discharged as a corporal in November 2013, and joined Ingersoll Rand the next month. While in the military, Nowlin took advantage of an education experience – and it is paying off now. “I had the opportunity to complete an HVAC course and obtain my HVAC certification,” he said. “Both the course and certification were key pieces that set me up for success after my military service was over. Nowlin encourages veterans to think through what they want to do after the military, and then obtain the necessary skills and education as soon as they can. “Research the necessary skills required for your desired job, and identify what degrees and/or certifications are needed to gain employment in that specific field,” he said.